Sejoon Park appeared on Show 137, recorded in February 2006, at age 15. 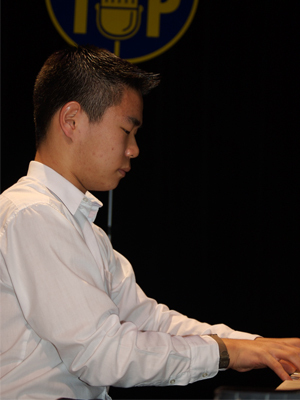 Sejoon Park, (piano) is a 15 year-old freshman from at McLean High School near his home in Falls Church, VA. With both of his parents being professional cellists in Korea, music has always been a natural language for Sejoon. Sejoon, who studies music at the Levine School, also plays the clarinet, enjoys reading science fiction books, jogging outside and watching movies. Sejoon is a Jack Kent Cooke Young Artist.